While GPS navigation transformed general aviation in 1995, all eyes are now on the federal ADS-B mandate that will go into effect January 1, 2020. “ADS-B” is the acronym for Automatic Dependent Surveillance-Broadcast, which is a whole new way of tracking and controlling aircraft using satellites instead of ground-based RADAR. ADS-B is a key component of NextGen air traffic modernization, and holds benefits for both pilots and controllers. At its most basic, the 2020 ADS-B mandate will require all aircraft operating in airspace that today requires a Mode C transponder to be equipped with new hardware that will transmit ADS-B Out. ADS-B Out transmits information about altitude, airspeed, and location which is derived from GPS satellites, then transmitted to both ground stations and to other aircraft equipped with ADS-B In receivers. Air traffic controllers will “see” the data transmitted to them from ground stations and will use that data to control aircraft. The overall goals of ADS-B are wide and varied, but the big benefits to the National Airspace System are better accuracy, lower cost of system maintenance, smaller separation minimums for working more traffic into the same parcel of airspace and near-mandated equippage nationwide. Note that the mandate only requires general aviation aircraft to be equipped with the transmitter portion (“Out”) of the ADS-B solution. The receiver is optional, though it allows participating aircraft to receive traffic and weather information from ADS-B ground stations, and to see the position of other ADS-B equipped aircraft. The information is displayed in the cockpit with the main benefit being increased situational awareness. Like any sweeping FAA mandate, the ADS-B Out requirement has been met with controversy and argument from pilots. On the table is the issue of cost. The current cost of installing even the basic mandated ADS-B Out equipment ranges from $5,000 to $6,000. The controversy stems from the perceived benefit to owner/pilots. While the ADS-B Out is useful for ATC, it doesn’t directly give anything to the pilot. Only when paired with ADS-B In (at additional cost) is the full benefit realized. As expected, aviation organizations like AOPA (Aircraft Owners and Pilots Association) are at the forefront of the fight. An AOPA analysis of the FAA’s Aircraft Registry revealed that some 81,564, or 43%, of the 188,099 piston-powered, fixed-wing, certified general aviation airplanes on the FAA registry have an average retail value of $40,000 or less. The average value of all those aircraft was just over $25,000. That makes a 20% investment difficult to swallow. 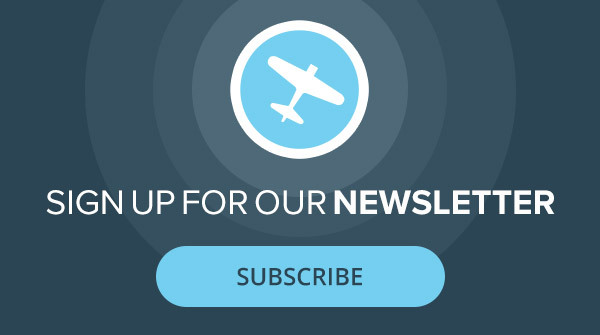 The news for Experimental and Light-Sport aircraft is more encouraging. Avionics leaders Dynon and NavWorx are both offering solutions for Experimental and Light Sport aircraft. 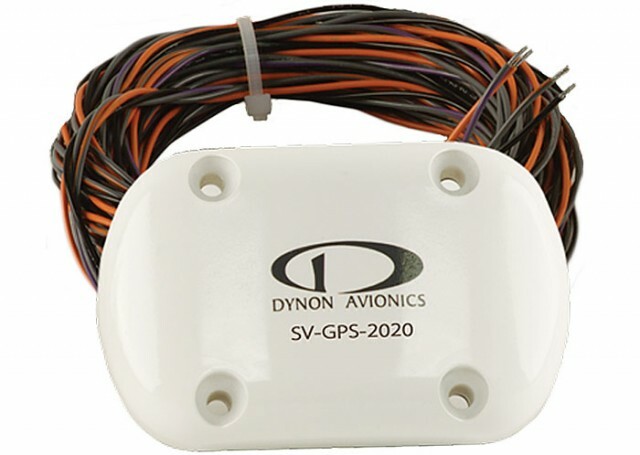 Dynon’s new SV-GPS-2020 GPS Receiver/Antenna is a 2020-compliant ADS-B Out WAAS GPS position source for new and existing SkyView and AF-5000 series glass displays. Meanwhile, NavWorx’s ADS600-EXP is a remote-mount 978UAT transceiver that provides both ADS-B Out and ADS-B In capabilities. An ADS-B-compliant WAAS GPS receiver is built in. Both of these solutions are less than $2,000, and other manufacturers are hurrying solutions to market for LSA and Experimental aircraft as we speak. The other big news in ADS-B deals with privacy. Mostly of concern to business aircraft owners, ADS-B is a bit “too public.” It’s a simple problem: ADS-B OUT transmitters operating on 1090 MHz transmit an unencrypted, real-time signal that includes the aircraft’s Mode S transponder code, its call sign, aircraft type, position, and speed. Anybody with a ground-based receiver (including low-priced models used by hobbyists) can “see” this information. So anybody using a simple app like planefinder.net could pull up an aircraft like, say, Tom Cruise’s Gulfstream 4 (N808T), or Donald Trump’s personal Boeing 757-200 (N757AF) and see where it is. No big deal for most of us, but it might be for a celebrity or presidential candidate. The military has joined the business sector in trying to add a blocking feature to ADS-B Out. There is no argument that ADS-B will transform aviation in several ways. ATC will have a more accurate picture of where we are, regardless of weather or line-of-sight limitations. Much of the Earth will be covered by surveillance of air traffic, reducing the chances of another airliner disappearing as Malaysia Airlines Flight 370 did in March of 2014. Those with ADS-B In will have access to better traffic information, weather and more as the technology matures. With only four years to go to meet the mandate, ADS-B is the hot ticket in general aviation. Equipping To Meet The Mandate The equipment requirements for general aviation aircraft are straightforward. ADS-B uses two frequencies to transmit data: 978 MHz and 1090 MHz. 978 MHz is called “Universal Access Transceiver” (UAT), while 1090 MHz is referred to as “Extended Squitter.” 1090 MHz has been adopted as the international standard. Thus, a Mode S transponder with an Extended Squitter feature is the international standard for ADS-B output and is what most aircraft will use as the transmitter. The 2020 ADS-B requirement allows aircraft in the United States flying below 18,000 feet to use either a 978 (UAT) or 1090 (ES) Out transmitter. Aircraft flying at 18,000 feet and above (and any aircraft operating outside of the U.S.) will be required to use a 1090 ES Mode S Transponder. To meet the 2020 ADS-B Out mandate, an aircraft must have a GPS receiver as the position data source, as well as an output transmitter to actually send the ADS-B data to ground stations and receiving aircraft. The mandate doesn’t allow portable ADS-B Out units; they must be panel-mounted. The GPS receiver used must be IFR certified—though it doesn’t have to be WAAS capable—and there are some integrity and accuracy specifications. You may keep an existing, less-capable navigator, and then add a secondary receiver to provide ADS-B Out data. Once you’re transmitting your position and related data, you’ve complied with the 2020 mandate, but you’re not seeing any benefit in the cockpit. For that you’ll need an ADS-B In datalink receiver and a compatible cockpit display. You’ll have access to traffic data from other aircraft and ADS-B ground stations, and subscription-free weather. The additional ADS-B In cost is not much more than what you’ll have to spend to comply anyway. As of April, 2015, approximately 10,000 general aviation have been equipped for ADS-B compliance. With some 188,000 fixed-wing, piston GA aircraft out there, a lot of owners will be looking at possible solutions in the coming few years. To date, here are some of the latest ADS-B options. Appareo is the maker of the ingenious Stratus ADS-B receivers—famous for their integration with the iPad and ForeFlight. Appaero offers both the Stratus 1S and the 2S. 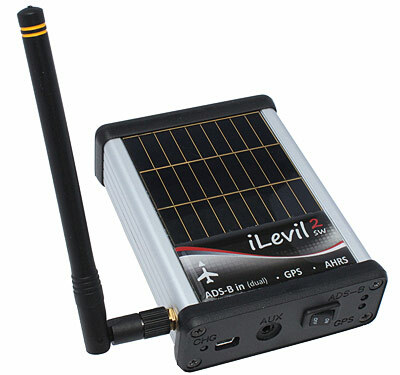 Each is a portable ADS-B receiver that works with an app integrated into your iPad. The system gives you ADS-B traffic on both 978 MHz (UAT) and 1090 (ES) MHz through the ForeFlight Mobile Maps page. It also provides subscription-free weather, including NEXRAD radar, METARs, TAFs, TFRs, AIRMETs, SIGMETs and NOTAMs. Stratus includes a WAAS GPS receiver, a flight data recorder and an eight-hour battery. 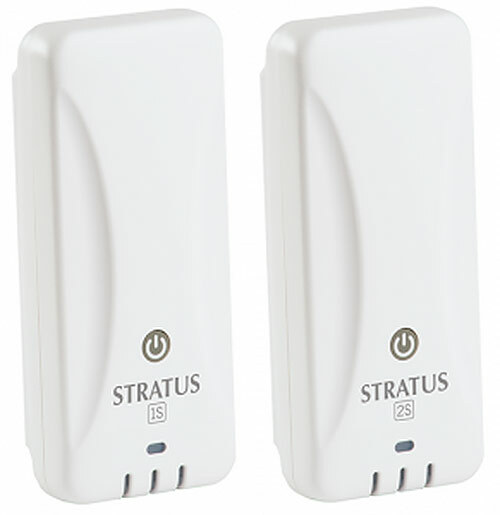 Stratus 1S is $549 and Stratus 2S is $899. The big news at Appareo is their new ESG 1090-MHz Extended Squitter (ES) transponder. In flight testing since October, the ESG could become only the second certified 1090ES transponder to offer an integrated Wide Area Augmentation System (WAAS)-compatible GPS receiver, and the only one for under $3,500. Aspen Avionics and L-3 Avionics have teamed to offer the ADS-B Lynx solution. It integrates Aspen’s crystal-clear displays with L-3’s Lynx NGT-9000 dual-band MultiLink Surveillance System. The result is the world’s first touchscreen Mode S ES transponder with an integrated GPS/WAAS that is also a display for ADS-B In data, including traffic, NEXRAD graphical and textual weather, and moving maps. While the NGT-9000 has its own display, Aspen has made it possible for pilots to integrate the NGT-9000’s data and present it on their Aspen Evolution displays. Aspen also offers several ADS-B transmitter/receivers to interface with displays. Their ATX100 transmitter provides 978 MHz (UAT) single-band ADS-B In/Out for aircraft that already have a Mode C transponder and WAAS GPS. The ATX100G adds an internal WAAS GPS sensor of its own, while the ATX200G is a dual-band In, 978 MHz Out transmitter/receiver with WAAS GPS for aircraft already equipped with a transponder. ATX100: $2645, ATX100G: $3495, ATX200G: not listed. Avidyne’s IFD540 & IFD440 FMS/GPS/NAV/COMs combine a Flight Management System, digital VHF radio, and an ADS-B positioning source to meet the ADS-B Out mandate. Meanwhile, their AXP340 Mode S Transponder provides a 1090 ES ADS-B Out solution for general aviation aircraft in a simple, “plug & play” design. Avidyne’s 978 MHz line offers the MLB100 / MLX200 / MLX210 receivers and transceivers. For owners that already have an IFD540 or IFD440, Avidyne’s AXP322 Mode S transponder integrates seamlessly. APX340: $3,995, APX322: $5,450, MLB Series: $2,495-$4,995. 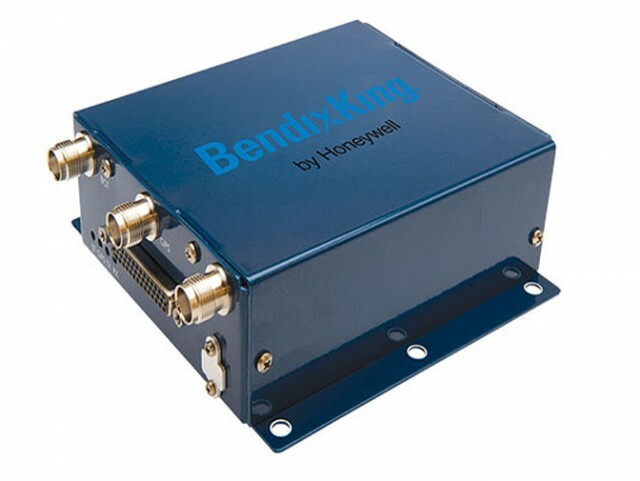 Bendix/King offers their KGX 150/130 Series ADS-B Transceivers and Receivers in addition to the KT 74 Mode S transponder. The KGX 150 series Transceiver is a certified ADS-B solution for flights below 18,000 feet (978 MHz UAT) offering an integrated WAAS GPS with optional wireless capability to display traffic and weather on a tablet. The KGX 130 Transceiver is identical to the KGX 150 but without the WAAS GPS. The KGX 150 provides position data as well as traffic and weather in the cockpit. 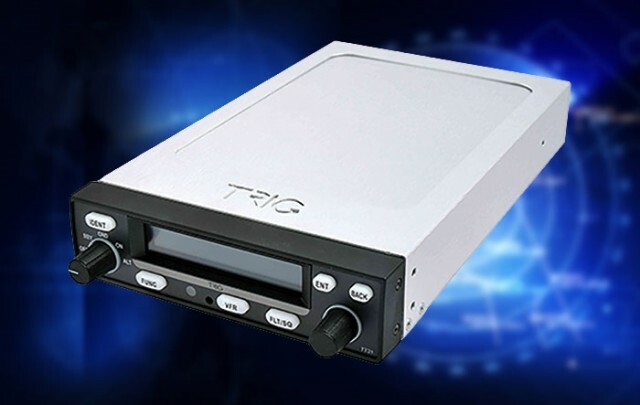 The KT 74 transponder supports 1090 ES technology and is also a “plug and play” slide-in replacement for the BendixKing KT 76A/C and KT 78 Transponders. Bendix offers a trade-in deal. Priced from $1,489 to $4,069. 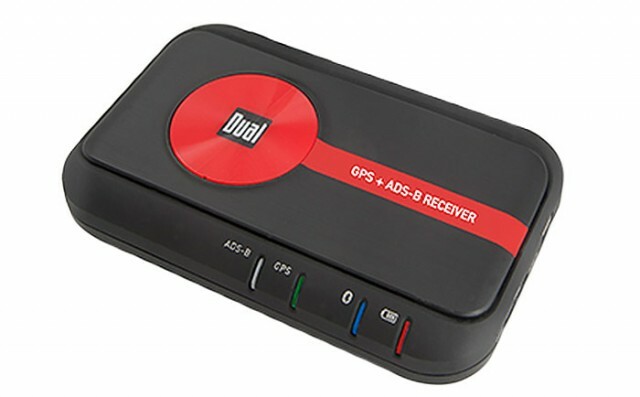 Dual has perfected a line of popular, compact GPS receivers. Dual’s newest is the XGPS190 which functions as a WAAS GPS, dual band (978/1090 MHz) ADS–B receiver for weather and traffic information, with a lot more. The XGPS190 includes an AHRS artificial horizon for EFB apps with synthetic vision. It works with a slew of EFB apps and navigators and connects to up to 2 devices via Bluetooth. The unit is compatible with iPad, Android and Windows tablets. The internal battery gives five hours of continuous operation, and the receiver can be charged with the included 12–30V adapter and wall charger. A non–slip pad is also included. Conveniently it can be used with its attached compact antenna or connected to an external antenna. Price not yet available at press time. Though designed primarily for current and potential SkyView and AF5000 customers, Dynon Avionics unveiled their very affordable ADS-B solution at Oshkosh 2015. The SV-GPS-2020 GPS Receiver/Antenna is a 2020-compliant GPS position source for ADS-B Out for only $590. As a drop-in replacement for the existing SV-GPS-250 receiver, owners of existing systems don’t need to run any additional wires, coax or install any new boxes in their aircraft. When combined with Dynon’s SV-XPNDR-261 Mode-S transponder and SkyView EFIS, customers meet all the transponder and ADS-B Out requirements for $2790. Pilots can also add the SV-ADSB-470 Traffic and Weather Receiver for ADS-B In capability. FreeFlight Systems is a pioneer in the affordable ADS-B market with their superb RANGR family of 978 MHz units. The RANGR Lite FDL-978-TXL includes everything you need for full ADS-B Out compliance for under $2,000. The system includes a built-in WAAS/GPS source, ADS-B and GPS antennas, installation kit, and control head, and will interface with your existing transponder. It is TSO certified and STC’d for general aviation aircraft. The company’s RANGR BLUE series includes the RANGR FDL-978-RX, which adds ADS-B In capability for weather and traffic. Both integrate with EFB software. Recently, FreeFlight announced that pilots can use Garmin GNS 430W and GNS 530W GPS navigators as approved GPS position sources for ADS-B Out compliance. Starting at $1,995. 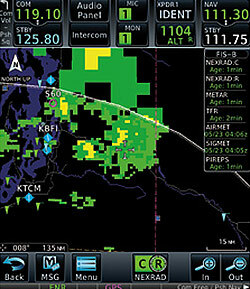 Garmin (garmin.com) For ADS-B Out compliance, Garmin offers the GDL 88 which is a dual-link 978 MHx (UAT) transceiver. It also receives FIS-B subscription-free weather and ADS-B datalink traffic. 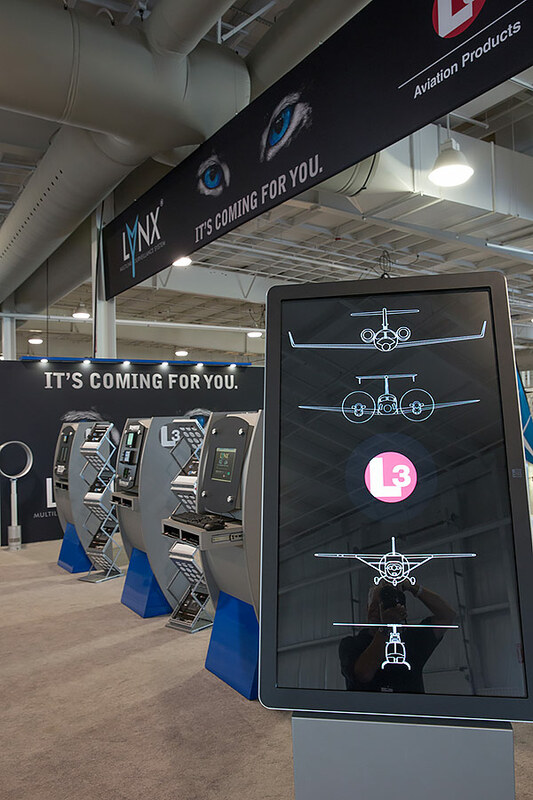 L-3 Avionics hit a major homerun with their fantastic Lynx MultiLink Surveillance Systems (MSS). It’s a turnkey ADS-B solution that’s a simple replacement for your old transponder (it claims to be a slide-in replacement). The unit’s handy and intuitive touch-screen provides ADS-B traffic, a Mode S ES transponder with a compliant GPS/WAAS position source, NEXRAD graphical and textual weather, and a moving map navigator. It even provides NOTAMs, TFRs and Winds and Temps Aloft data. The Lynx NGT-9000 is a Dual Mode 1090ES ADS-B Out plus 1090 and 978 ADS-B In device that is designed for 14 V or 28 V installations. There are several different models available depending on your budget and needs. It’s not the least expensive, but L-3’s ingenious unit packs a lot. Starting at $6,800 with their current promotion. NavWorx offers their “ADS” series of ADS-B solutions. 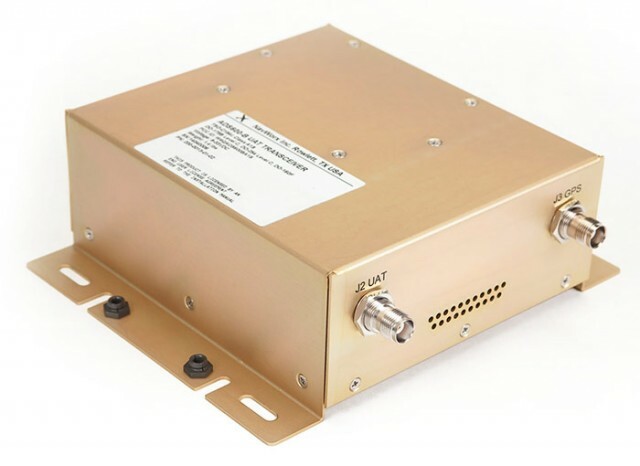 The ADS600-B is a STC/TSO approved remote mounted 978 MHz (UAT) transceiver providing 2020-compliant ADS-B Out (transmit) and ADS-B In (receive) for installation in Certified aircraft. Like the other NavWorx units, this one works with your existing Mode C (or Mode S) transponder so you don’t have to replace it. It interfaces with most cockpit displays via Wi-Fi and RS-232. The company’s ADS600-EXP units offers the same capability but for Experimental and Light-Sport aircraft. The ADS600 is NavWorx receiver for displaying traffic and weather when 1090ES ADS-B OUT is already installed in your aircraft. ADS600-B, $1,999; ADS600-EXP, $1,149;ADS600: $1,499. 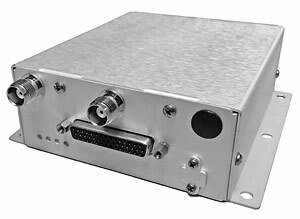 SkyRadar offers two Dual Band (978+1090MHz) Receivers; one with built-in AHRS. Both offer all the usual ADS-B “In” data including weather and traffic, and can function as Wi-Fi hotspots. Each comes with the innovative SkyRadar application, which puts in-flight and post-flight information at a pilot’s fingertips using several mobile devices. That’s where the strength of these units lies, and it’s a full-featured and comprehensive app. When the Application is connected to a SkyRadar receiver it gains an access to a all the information supplied by FAA (free of charge). This includes weather, database of airports and airspaces, terrain information and much more. 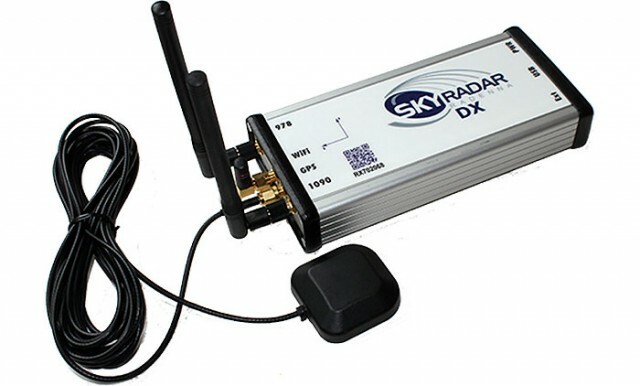 SkyRadar DX, $849; SkyRadar D2, $699. 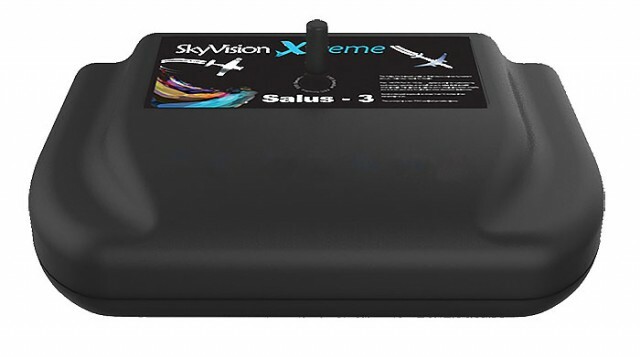 If you want both portable and inexpensive, check out SkyVision’s Salus-3 unit. The company says they “Took the design straight out of a TSO/STC certified ADS-B product, miniaturized it, and made you the SALUS-3.” With GPS antennas and WiFi already built in, there is nothing to install. Just plug it in, place it on your glare-shield, and start receiving traffic and weather instantly on your favorite iPad or Android app. Unfortunately, the company says it does not work with ForeFlight. SkyVision also offers the Gen2 “suitcase” unit, which includes everything you need for enhanced situational awareness and supports full ADS-B Synthetic Traffic and Weather on iPad, iPhone, Android or Windows devices. All the hardware (except a display) is self-contained in this portable unit, including antennas. Salus-3, $1,299; Gen 2 Portable, $2,695. Trig makes some very cool—and compact—ADS-B Mode S transponders. Their flagship TT31 is a Mode S and 1090ES ADS-B Out-capable transponder that can be used with popular GNS 400W and 500W navigators. It is a direct retro-fit replacement for the popular KT76A and KT78A transponders. In a recent development, all Garmin GTN navigators have been approved as ADS-B Out position sources for the TT31, the company announced. 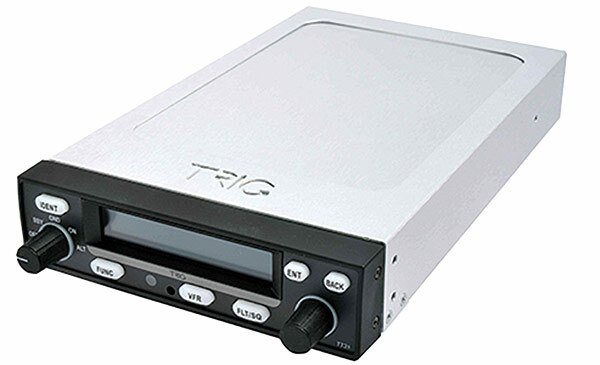 Trig’s TT21 and TT22 are compact versions of the TT31. Trig Avionics has recently partnered with the NextGen GA Fund. Price for the TT31 with installation harness is about $2,590; TT21, $2379. For SLSA, does the Salus-3 meet the mandate. It is not panel mounted. The article states that AGS-B must be panel mounted to meet the mandate. Portable devices do NOT meet the requirements for the 2020 mandate, even if they are advertised as meeting the “performance requirements” of the rule. Refer to AC 90-114A CHG1, paragraph 4-3.b. Equipment Qualification Requirements. Paul Von Hoene, that reference to the AC isn’t correct. 4.3 refers to ADS-B Equipment Operations. Do you know where the equipment installation requirements are? As a note, only the ADS-B Out portion has to be panel mounted thus the Stratus setup with the ESG is legal. Great rundown but it’s a little confusing on which ones offer ADS-B In, Out and WAAS, which ones meet the mandate, what extra equipment you need to make it work (ie screens), etc. Any chance you could update it with that info? Maybe have that info in a tabular format? I’m very confused . How about starting simple? What fulfills ADS-B out with existing mode C transponder? And which transponders? Oh, and how much? Then a definite break before including upgrades, add on features etc. I’m very confused also . How about starting simple? What fulfills ADS-B out with existing mode C transponder? Cost? And then after a needed pause…… Then includ upgrades, or add on features etc.